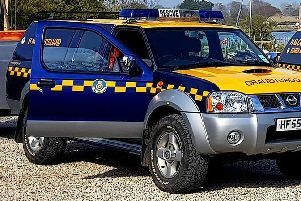 A man was taken to hospital after a crash on the A259 at Merston at 10am this morning (June 17). Emergency services were called to the scene on the A259. West Sussex Fire and Rescue Service said a camper van crashed into three parked cars outside the Mercedes-Benz showroom. Crews from Bognor Regis and Chichester freed one man from his vehicle before he was taken to hospital. The ambulance service said the driver’s injuries were not thought to be life threatening.